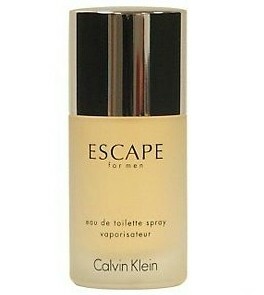 Calvin Klein Escape for Men features an exclusive birch leaf signature note with citrus, spices and woods. The top notes feature Birch Leaf, Grapefruit, Bergamot, Juniper and Eucalyptus. The heart notes and base notes of Clary Sage, Cypress, Fir Balsam, Rosemary, Patchouli, Vetiver, Sandalwood and Oakmoss create a concentrated and long lasting effect. Created in '93 by Steven DeMarcado who created the Harajuku fragrances for Gwen Stefani. 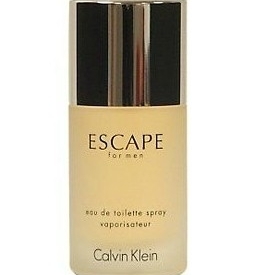 It opens with a crisp clean scent and evolves to notes of Vetiver and Sandalwood. Somewhat 90's in terms of subtlety i.e. not a great deal with strong projection and longevity.